There are a couple of ways to do this: by using your voice, or by casting. We’ll cover both. The easiest way to fire up a podcast on Google Home is by simply telling your Google Assistant to play the podcast you want to hear. 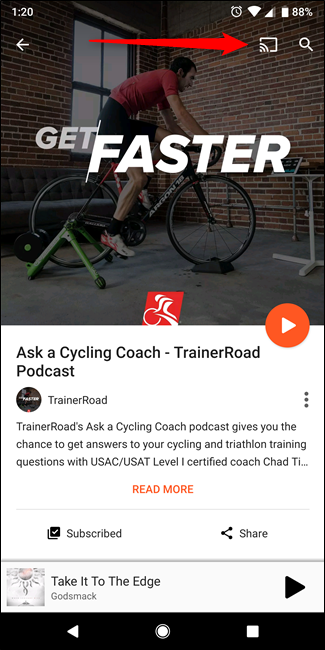 You can start a podcast by saying “OK Google, play <podcast name>.” For example, I religiously listen to the TrainerRoad Ask a Cycling Coach podcast, so I just tell Home to “play the latest episode of the TrainerRoad podcast” and it knows exactly what I’m talking about. You can pause, stop, and resume with voice commands, as well. Just keep in mind that if you want to resume the podcast, you’ll have to explicitly state the name before it will work correctly—so, “Hey Google, continue listening to the TrainerRoad podcast” should do the trick. This is the recommended command from Google, and I’ve found it to work best. It would be nice to have the option of playing specific episodes by number, but that doesn’t seem to be supported yet. Even though most podcasts offer show numbers, Home doesn’t yet understand this. 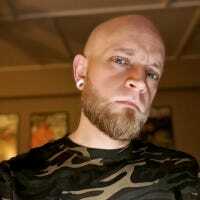 I tested with multiple shows, and each time it just played the latest episode of the podcast in question. While just telling Home to play a podcast is convenient, it isn’t the most versatile option. In fact, it’s almost overly simple. 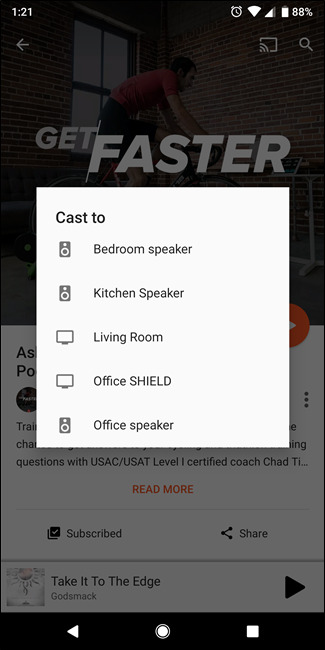 If you’re looking for a little more flexibility from podcast listening but still want to use Google Home, you can make it happen using one of Google best features: casting. While most Android apps should have this baked in (except, ironically, Google’s own Podcasts app), it’s harder to find on iOS. Pocket Casts is probably the most popular app with Cast support built in if you’re an Apple user. Using the Casting feature, however, you can cast your podcast to Google Home, then easily pick up in the car or with headphones later on if you can’t finish it all in one sitting. That flexibility is great. To send a podcast to your Home, just tap on the Cast icon in any app that supports the feature, and then choose the speaker to which you want to cast. The podcast should start playing immediately. Now you can play, pause, and stop the podcast from your phone, and also take it with you somewhere else to finish later if you need to.